Arapaho is a superb, thornless blackberry that was released in 1993 from the University of Arkansas. More details below! An excellent variety for the South, Arapaho is a superb, thornless blackberry that was released in 1993 from the University of Arkansas (U.S. Plant Patent 8510). 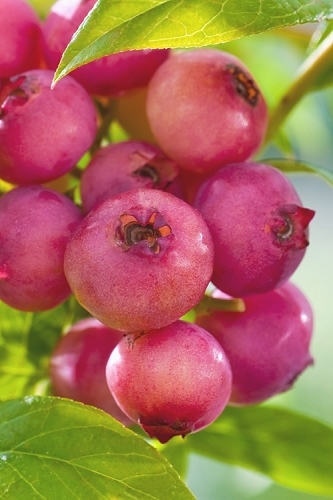 It is a hardy, disease resistant variety that produces very nice, sweet berries with small seeds, on erect, thornless canes. It is one of the earliest to ripen of the Arkansas thornless varieties, and has very good post-harvest potential. Just as it is one of the earliest ripening, Arapaho is also one of the earliest to flower. For this reason Arapaho does best when it is grown in areas that are a little less prone to having late spring frosts. 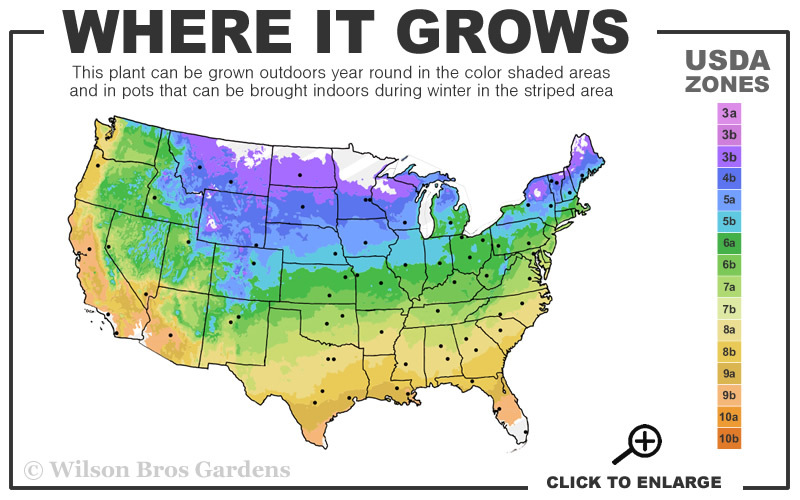 This lessens the risk of freeze damage to the developing flowers/fruit, which can seriously undermine, or even altogether debilitate, the overall quality of the berry crop. 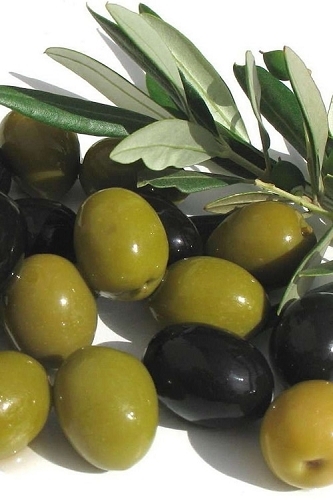 Arapaho is an excellent variety for growing in the southern U.S., and especially the deeper southern region(s). It quickly establishes a solid fruiting hedge, and with its erect, upright growth habit, Arapaho is great for home gardeners because it does not require the support of a trellis or fence. One thing is for sure - with Arapaho in your garden, nobody will enjoy the bounty of freshly-picked, juicy, sweet blackberries any earlier in the season or sooner than you will! Arapaho Thornless Blackberry will produce the best and most berries when growing in full sun. 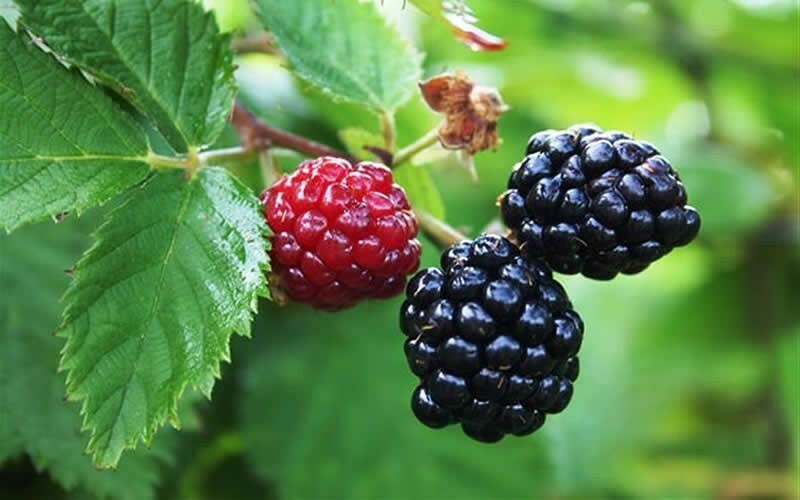 However, where space is limited, a blackberry plant will produce good crops even when grown in shade, which is something no other common fruit plants will do. 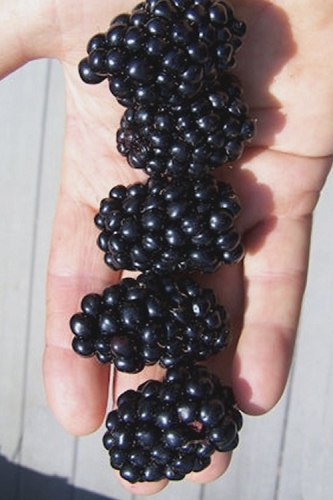 Blackberries will grow reasonably well in most soil types except for very compacted clay or light chalky soil. In these soils it'll be worth your time to mix in lots of organic compost to condition the soil and add beneficial nutrients and bacteria plants need to grow healthy. 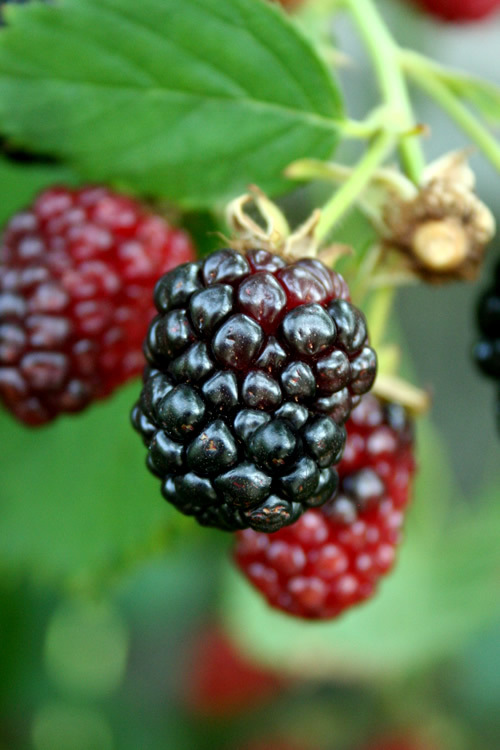 Blackberries grow and produce the best fruit in well-drained but moist fertile soil that is rich in organic matter. They like the soil to hold a good supply of water, especially when the fruits are developing in summer, but not so much water that the soil stays constantly soggy or wet. Click on a link below for helpful advice from our experts on planting and caring for blackberry bushes.